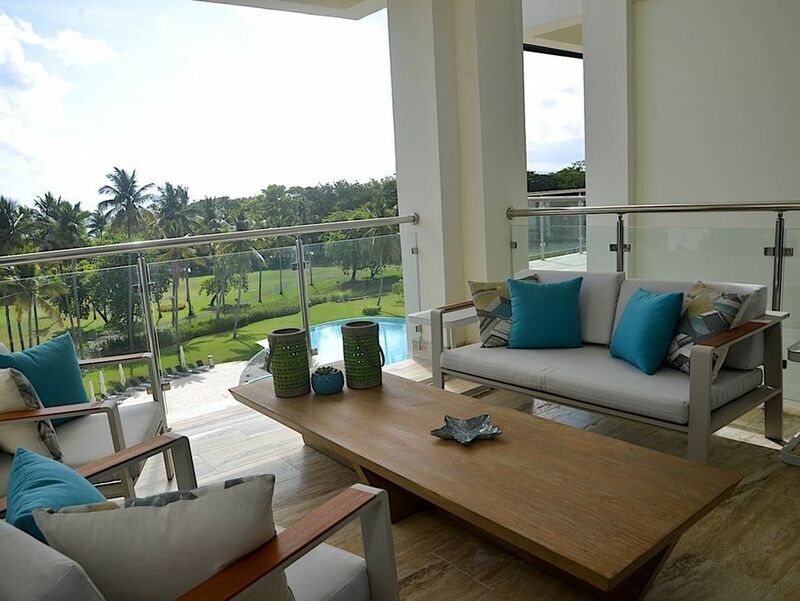 For a more private and exclusive experience, the condos at Blue JackTar Hotel & Golf are among the premier accommodations in Puerto Plata. 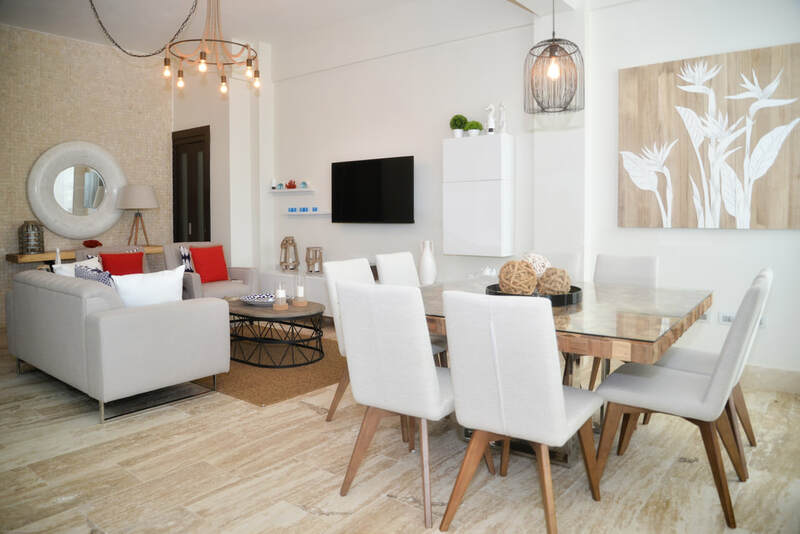 Within each of these spacious condos, the splendour of the surroundings is enhanced by an upscale contemporary décor, a furnished balcony or a terrace, sleek kitchens and exquisite bathrooms with glass-enclosed walk-in showers. Luxuriate in personalized aromatherapy and bedding selections. Then end your perfect day with a relaxing whirlpool bath on your private balcony overlooking the ocean. You can take delight in the fact that even your unexpressed desires are fulfilled by the exquisite pampering your room offers. Accommodating up to six guests, this furnished condo features a bedroom with one King bed and a second bedroom with two Queen beds. 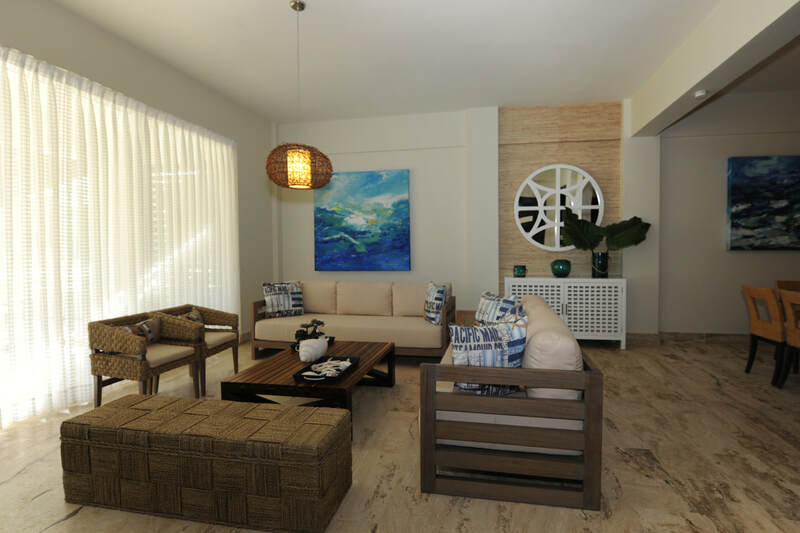 Additional amenities include two-and-a-half bathrooms, a living and a dining room, a private balcony and a kitchen. Accommodating up to four guests, this furnished condo features a bedroom with one King bed and a second bedroom with one Queen bed. Additional amenities include two-and-a-half bathrooms, a living and a dining room, a kitchen, a private terrace and a Jacuzzi. 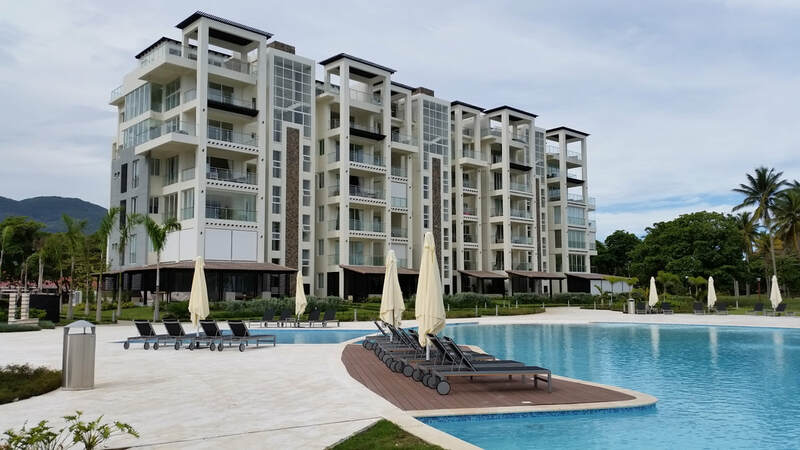 ​three-and-a-half bathrooms, a terrace with a Jacuzzi, oceanfront, golf course view, pool and mountain view, a kitchen, a BBQ area and a balcony. A deposit of US $ 500 is required on arrival. It will cover incidentals. This deposit is refundable at checkout, but subject to an inspection of the unit.